As wine enthusiasts are aware, the Southern Oregon climate is ideal for wine making. Delight your favorite wine lover with a pair of Harry & David wines, grown and crafted in that idyllic setting. This gift includes crisp, light 2017 Pinot Gris, and medium-bodied, tremendously versatile 2017 Chardonnay. 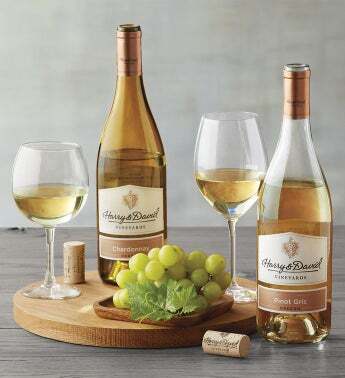 This pair of deliciously drinkable wines makes a wonderful hostess gift.